Tennis Holiday Camps Coming Soon! 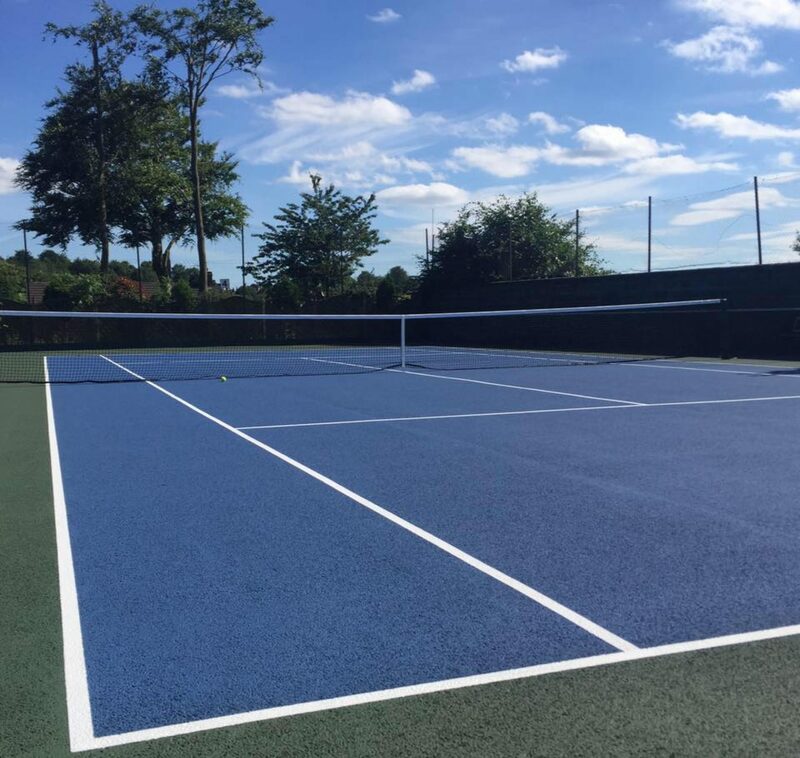 From Monday 10 December our two Astro-Turf courts will be out of action for five days to allow maintenance and rejuvenation work to be carried out. All members will receive an email with a reminder in due course and we shall put notices up in the clubhouse and on our club Facebook page. We would like to thank you in advance for your full co-operation and patience whilst this essential work is carried out to maintain and improve the safety of our courts. Leek Tennis Club is pleased to announce that in Spring 2019 we will be inviting members of Leek’s U3A to the club for the opportunity to play regular Tennis. The 6 week course will run every Thursday morning between 10.00-12 noon, starting on the 28th February until 4th April 2019. Beginners and returning players of all standards will be very welcome and all equipment will be provided. More information will be released in the New Year, however in the meantime please contact Penny Oakley on 07900 536202. The clubs annual dinner and presentation evening will take place on Saturday 10th November 2018 at Leek Cricket Club. All members, friends, families and supporters are very welcome. Tickets are priced at £11 and include entry and a two course meal. Those wishing to purchase tickets should contact Frank or Dave. Despite it being the hottest day of the year so far, Leek Tennis Club held a “She Rallies” morning for girls. These sessions, promoted by Judy Murray, aim to encourage young players and as well as providing fun, fitness and friendship, they improve ball and racket skills. The girls who came all proved themselves very capable and enjoyed the games and activities. Some play regularly at the well- attended Saturday morning, informal club sessions while others had played at school. The club is hoping to run similar sessions in the future so watch this space!! Wimbledon is coming to you! A call to all Members and Non-Members, please join us on Saturday 14 July at 1pm at the club for an afternoon of Tennis, Strawberries & Cream and fun in the English sunshine. It’s been quite a summer so far, with Football coming home (fingers crossed! ), red hot weather and with Roger and Rafa destined to re-create the greatest tennis match ever from 2008 at this year’s Wimbledon Final! So let’s celebrate and have another open American tournament up the club for our Wimbledon themed event. Our Aussie and French Open tournaments have been a tremendous success so far this year. Let’s make this one the best yet! Everyone and anyone welcome, so please spread the word. Any questions or queries please contact a member of the committee or Sam Bostock On 07795901941. Non Members of the club should please pay £5 surcharge. Text your child’s name and Mobile no to Shaun Murray (‭07415 232192‬). He will then add each player to the register of attendance. Leek tennis club are excited to announce a new sponsorship deal with local Indian restaurant group Maazi. The restaurant whose Leek branch is situated in the Cross Street Mill complex, recently opened in Leek. Maazi have as part of the deal provided a years worth of practise balls for the clubs growing coaching set up. The sponsorship also includes a number of offers and discounts for Leek Tennis club members including an exclusive 10% off for club members in the restaurant. Junior coaching and open sessions continue on Monday Evenings and Saturday Mornings (10-12). Whilst senior introductory coaching also runs on a Monday evening from 6:30pm. We’re delighted to announce that SHE RALLIES will be taking place at the club on 26th July between 10am-12 noon. The SHE RALLIES programme is headed up by Judy Murray and it aims to get more Girls and Ladies playing Tennis. Our committee members Margaret Wilshaw and Penny Oakley attended a workshop at Edgbaston Priory Tennis Club on 21st June and met Judy Murray herself!!! Margaret and Penny will now be running the event at our club on 26th July so please spread the word and come along. All are welcome. Played over two and a half hours, with 15 players competing over 5 rounds in the hot Summer weather, Sam Bostock and Harry Pointon were tied together in top spot at our annual French Open tournament. A truly fantastic afternoon was had by all which was capped off with a barbecue for players and family. The next Grand Slam Social Tournament will be following a Wimbledon theme on Saturday July 14. There will be strawberries and cream instead of a barbecue. Please come along and join the fun.